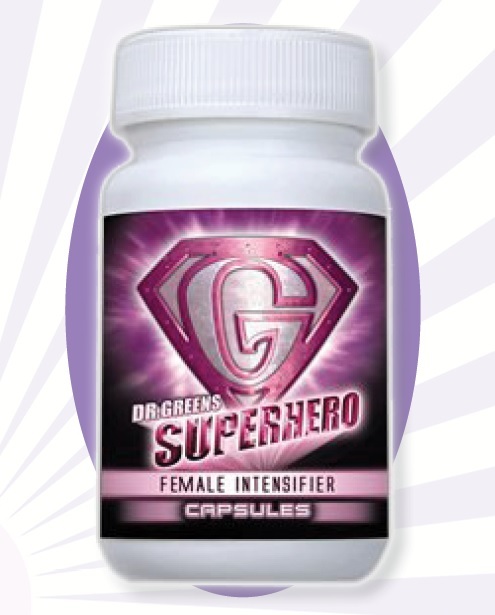 The Dr. Greens Female Enhancers help to increase blood flow to result in a quicker sexual response to make the erogenous zones more sensitive to stimulation and to help increase the intensity and frequency of orgasms. Directions: Take two enhancers 1 hour prior to naked time on an empty stomach with a full glass of water. Seek advice from a health professional prior to use if you have high blood pressure heart disease or are using prescription drugs. Do not use with Nitrates. 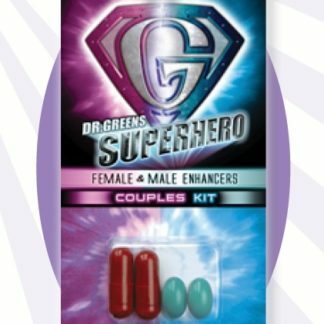 We also carry Dr. Greens Superhero Male Enhancers as well as a His & Hers pack for male/female couples to be able to try the enhancers together.